Myanmar sits at the crossroads of Asia’s great civilizations of India and China, and looks out onto the vast Indian Ocean next to Thailand. One of South East Asia’s largest and most diverse countries, Myanmar stretches from the sparkling islands of the Andaman Sea in the south right up into the Eastern Himalayan mountain range. Myanmar remains one of the most mysterious and undiscovered destinations in the world. A land of breathtaking beauty and charm, Myanmar has only recently emerged into the modern world with spectacular monuments and ancient cities and a vibrant culture that is still home to 135 different ethnic groups. 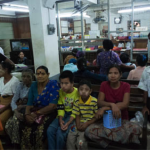 Yet Myanmar is a country that is lacking in proper healthcare, which in turn causes an endless cycle of poverty, disease, malnutrition and minimal education. 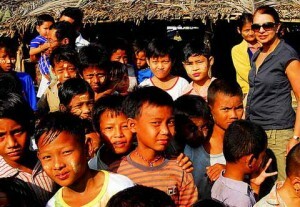 More than forty years of internal conflicts have had a devastating impact on the people of Myanmar. 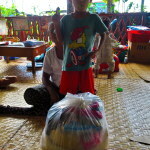 Many communities suffered displacement, loss of life, property and livelihood. 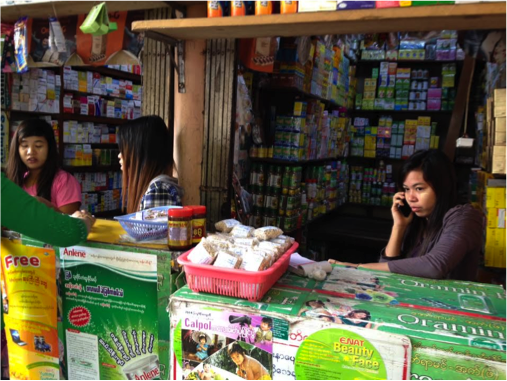 In 2010 A new era of challenge in the country’s troubled history was ushered in when ceasefire agreements were reached between the government and the majority of armed ethnic groups. This backdrop of peace means that it is now possible to reach out to communities in strife torn areas and initiate a development process that would help them evolve into stable, self-reliant societies within the Union. Myanmar has the second highest child mortality rate in the world. Healthcare is broken, at the bottom of the list with limited funds invested in the medical system. The people are left to rely on their own resources to seek care. 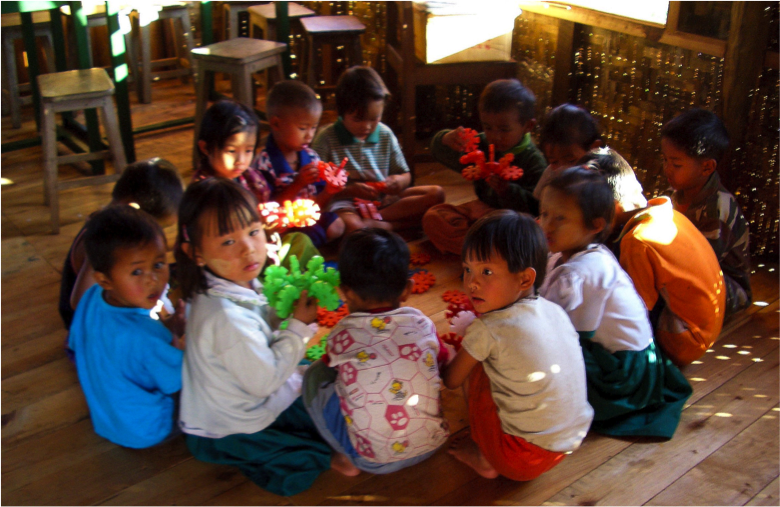 The children die at a faster rate in Myanmar than in any other country in Asia. About 10 children under 5 die every hour, and they die of three main causes — malaria, pneumonia and diarrhea. The immediate causes of child and maternal mortality are preventable. A large proportion of infants and toddlers are malnourished due to TB. With therapeutic feeding and/or TB treatment their survival is around 90%, and a mortality rate of 50% if left untreated. 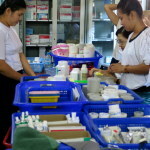 Medical Action Myanmar (MAM) is a medical aid organization, whose mission it is to improve access to quality health care for the poorest of Myanmar people focused on the most vulnerable people in very remote areas and in urban slums, where most people cannot afford to pay for adequate health care services. 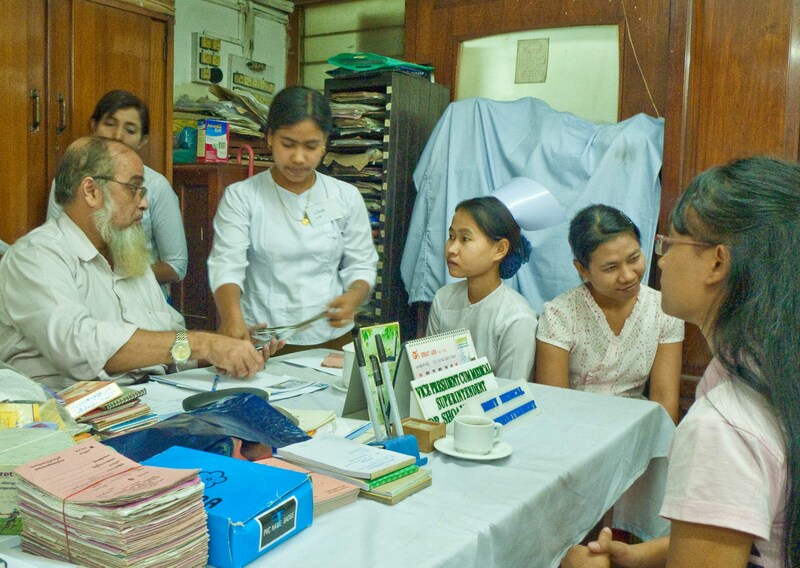 The initiative is led by Dr. Frank Smithuis and Dr. Ni Ni Tun (previously working for Médécins sans Frontières Myanmar 1994-2009), who guide a team of committed and experienced health professionals. The following short video highlights the complexity of the work being done by MAM. 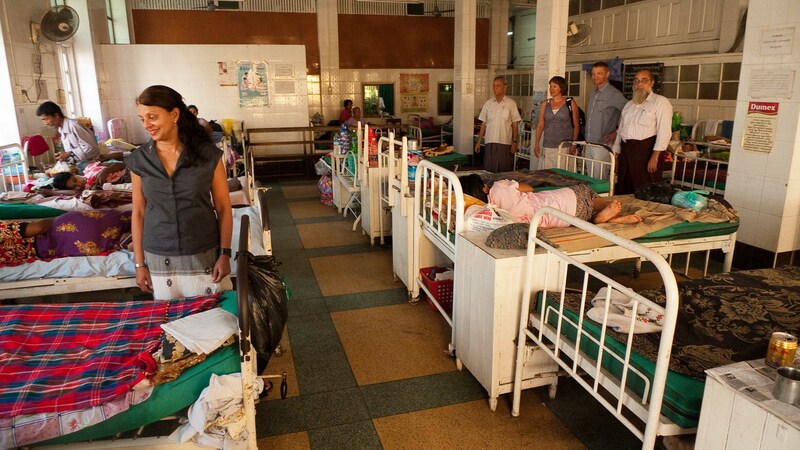 The video is produced by the SANNI Foundation, a collaborator with CW Asia Fund in the Yangon Clinics. 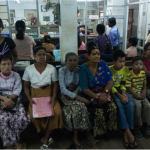 The featured large scale cost effective clinics treat over 100,000 people annually and provide education to patients and their families in the aims of preventing future treatments. 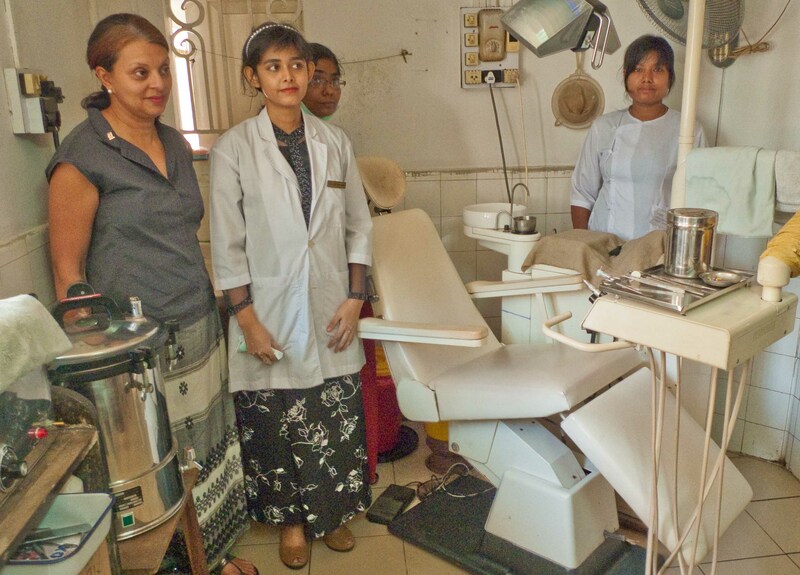 MAM supports seven clinics. 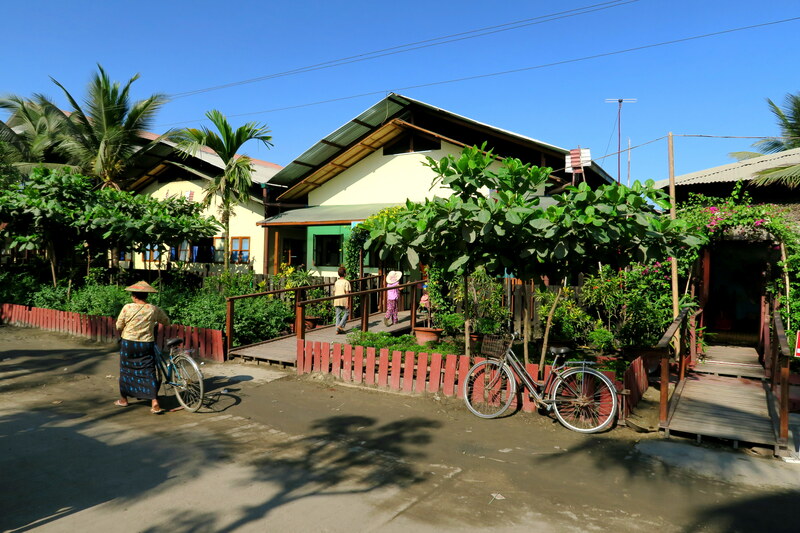 Four clinics in impoverished neighbourhoods of urban Yangon, two clinics in the northern state of Kachin and one clinic for the east side of the country. 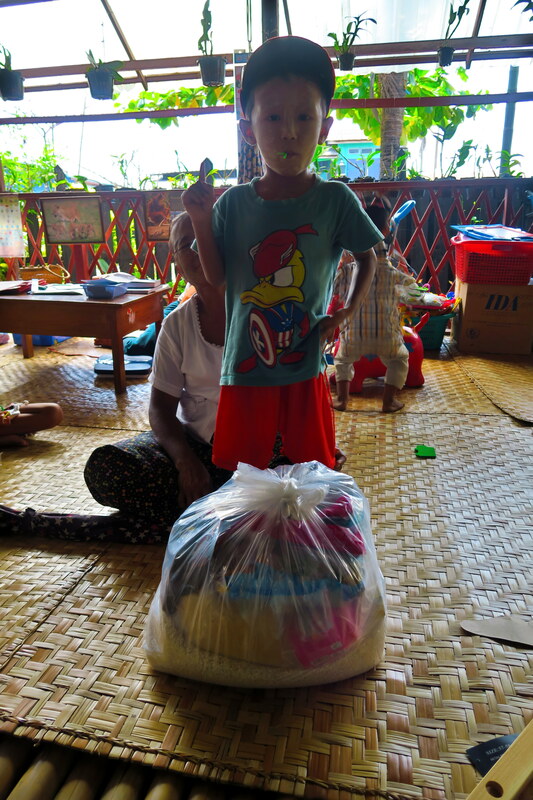 MAM’s activities focus on mother and child care, treatment of malnourished children, reproductive health, family planning, treatment of STI’s and coupling, treatment & care for people living with HIV and Tuberculosis. Special emphasis is being put towards stopping the spread of HIV and Tuberculosis. Through preventative measures like condom distribution, accessible treatment and needle exchanges MAM is aiming to curb the new infection rate. 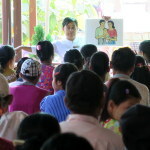 Additionally, MAM is working with expecting mothers to prevent the spread of HIV from infected mothers to their children. MAM’s aim is to make health accessible to all. For this reason patient fees work on a sliding scale. For those with no resources treatment is free, for those with limited but insufficient resources a subsidized fee is paid. This approach encourages personal responsibility while allowing accessibility. 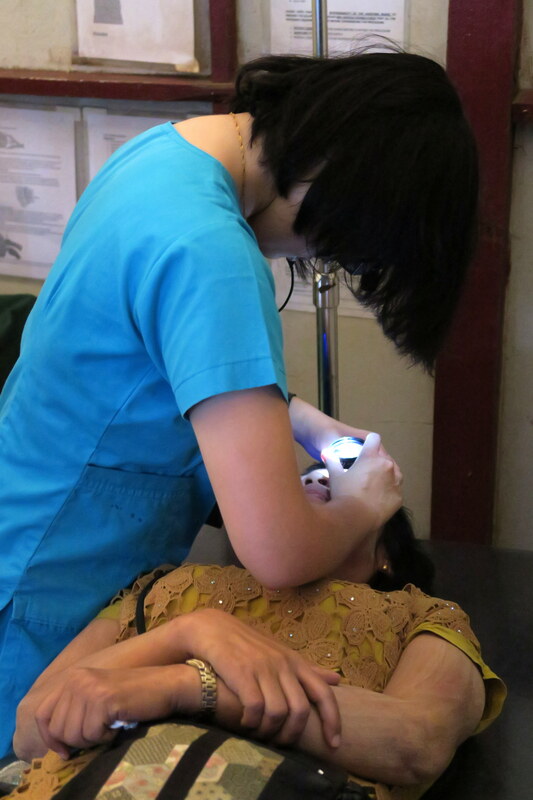 Consultations vary from simple out-patient visits to intensive treatment of severe diseases. 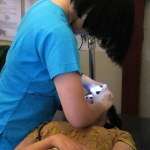 The average cost of 1 consultation in the clinic including all expenses (staff, lab, medicines) is $6.25 USD. 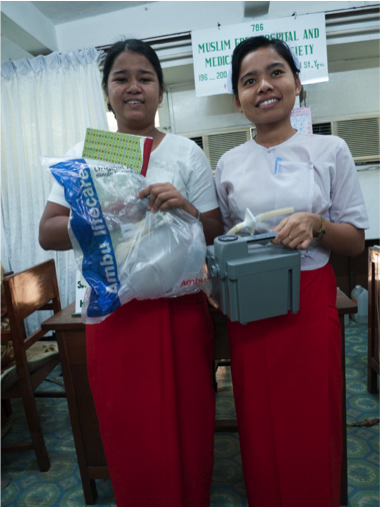 In addition, MAM is supporting a network of over 1000 Village Health Workers (VHW) to provide basic health care in the most remote villages in North and East Myanmar. 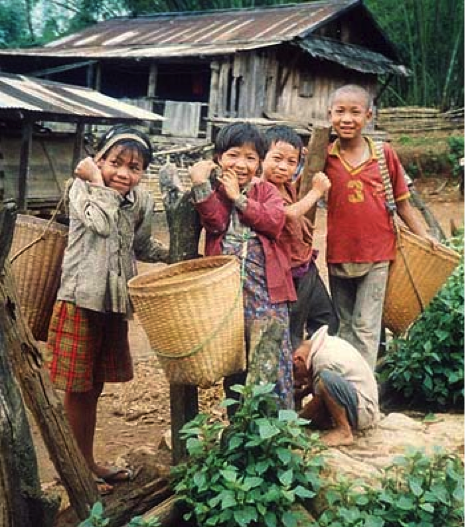 The populations of these villages are small but a lot of effort has to be made to reach them. These villages have never had access to health care services so there is a large emphasis on decreasing malaria, through the provision of a simple rapid diagnostic test and good quality medicines. 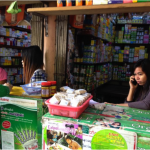 The network VHV is now in over 1400 very remote village communities. In 2016 along 275,000 patients consulted the Village Health Volunteers and 1,479 patients presenting life-threatening diseases were referred to hospitals. 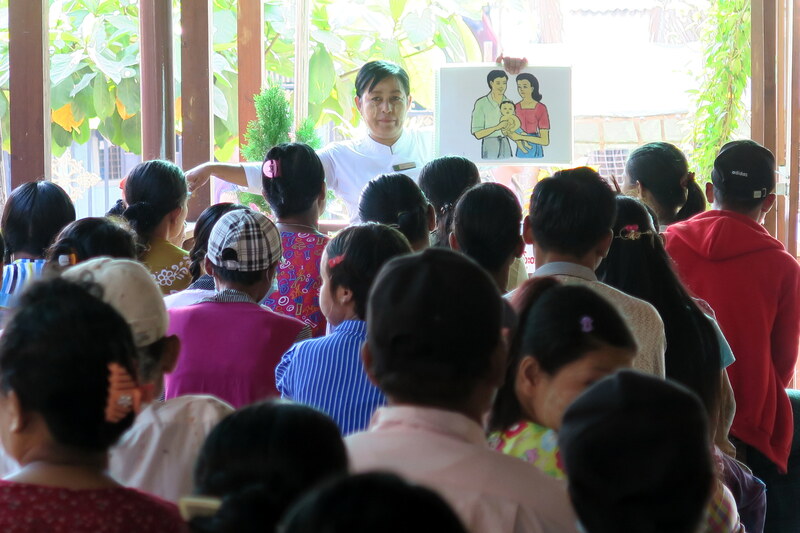 In addition 50 medical teams travel each mother to every remote village to train the VHV, though extremely labour intensive, this on the job training is essential to improve the skills of the volunteers. Over 9,000 monitoring visits have take place. 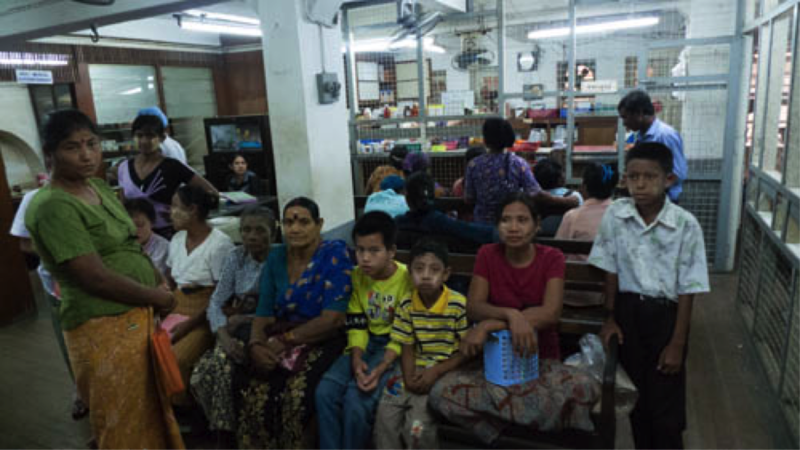 Medical Action Myanmar saves lives in difficult circumstances. 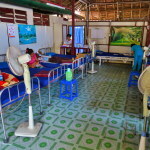 It is the most effective health NGO I have ever encountered. 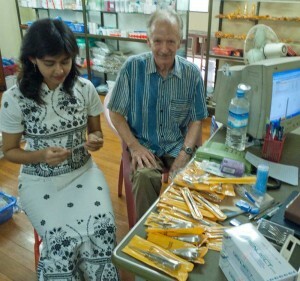 Nick White, Professor of Tropical Medicine Oxford University and Madhidol University, Bangkok. Recipient of the Canada Gairdner Award for 2010, one of the most prestigious prizes for medical research. In November 2012, my husband and I went to Myanmar on a biking tour, paraded us by wonderful monuments, temples and comfortable tourist facilities. While this was all fascinating, the most memorable part of our trip was not on the tour company’s itinerary. We are both physicians and have worked as volunteers in developing countries over the years. 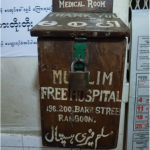 Before picking up our bicycles in Yangon, we spent a day checking out MAM (Medical Action Myanmar) an NGO that supports a number of clinics that bring health services to the poorest people in Myanmar. Dr. Ni Ni Tun, a Myanmar physician, kindly spent a morning explaining MAM’s activities and showing us one of their clinics in a poor suburb of the capitol. Having had some experience in the difficulties and challenges inherent in providing health care in developing countries, we were very impressed by the dedication, thoroughness and vision of this Dutch based organization. For anyone looking to make a donation to a project that is making a difference you cannot do any better than contributing to MAM. 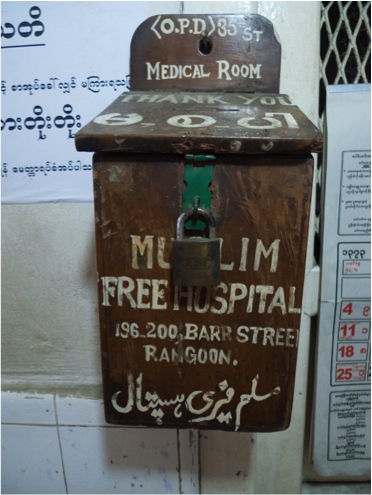 Founded in 1937 as a dispensary, MFH remains a very important hospital serving the poor in downtown Yangon. 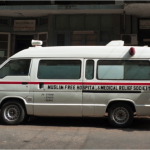 Their mission is to provide medical relief to the poor and needy of all communities regardless of creed or religion, serving on average 350 – 400 patients a day. The modest Dispensary has flowered into a full-blown modern hospital sprawled over three towering buildings connected by over-head bridges, and has become a veritable source of help and hope for the needy sick of all communities. This hospital is famous all over the country as an Eye hospital because most of the leading Eye Specialists of the country had worked here. 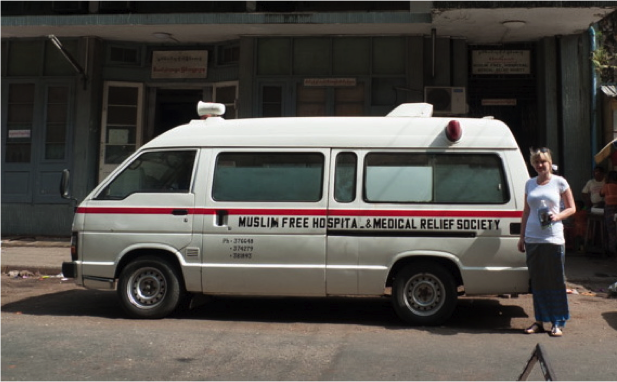 MFH provides compassionate care for everyone regardless of ability to pay, religion, colour, caste or creed. 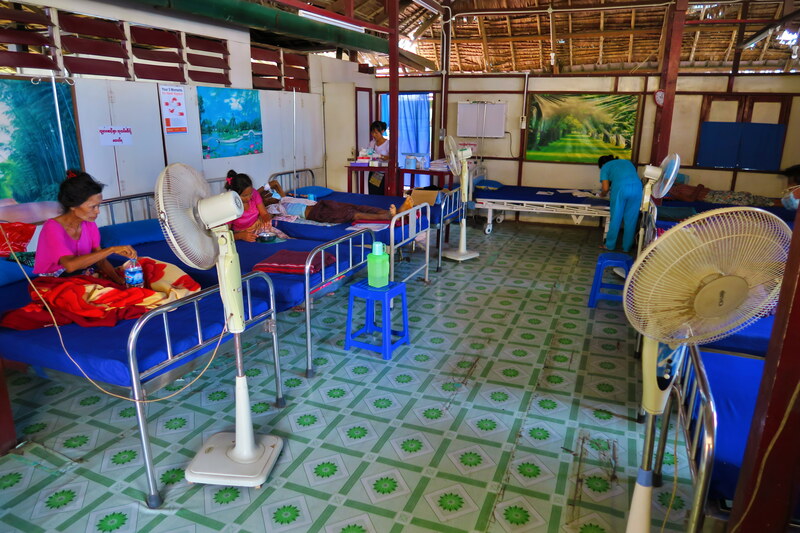 In 2012, funds were raised to implement and expand the ‘bedside care nurse’ scholarship program to 80 students and to supplement the cost of housing and food for the out-of -town girl students particularly those from marginalized families. 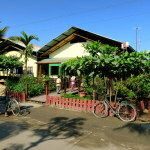 The annual budget of MFH is in the $550,000 USD range. 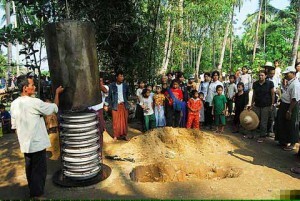 More than forty years of internal conflicts have had a devastating impact on the peoples of Myanmar. It is with the specific aim of assisting these communities in distress that the Metta Development Foundation was established in 1998 as a non-governmental organization. Metta’s assistance, initially among the Kachins in the far north, will be extended to other regions of Myanmar, regardless of ethnic origin or religious orientation. Metta programmes are grass-roots initiated. As such they operate with the participation of local communities in various aspects of planning, implementation and evaluation. Local resources are mobilized wherever possible and women are afforded the same level of representation as men. community controlled social and economic associations. Priority is given to initiatives that are economically viable, technically appropriate and socially acceptable. The training and education essential for communities to participate meaningfully in their development is provided through locally conducted workshops. Study trips to regional countries with similar community profiles also form part of the training process. 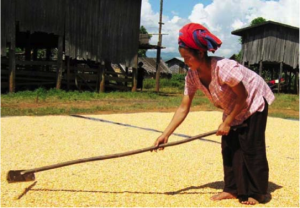 Metta projects currently operate through funds received from international development agencies but self-help mechanisms incorporated into the project process will enable self sufficiency within a period of three years. The driving force behind Metta is the concept that the very word embodies – that of loving kindness. This is one of the oldest local non-governments, non-profit, non-political organizations registered with the government of Myanmar. MNMA has officially been operating since 1948. With the support of UNICEF, MNMA established the community health care model of providing people living with HIV care and support in their homes at the grass roots levels in the late 1980’s which still operates today. 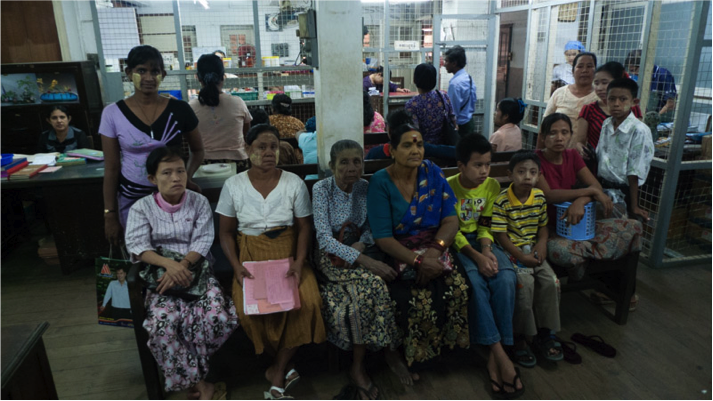 MNMA currently provides direct medical assistance to more than 7000 people living with HIV in remote and poor areas of Myanmar. MNMA is working for nursing and midwifery profession and the improvement of health services in the country. The Association is a member of the International Council of Nurse (ICN). There are 216 association branches throughout the country with a membership of 18026 Nurses, including the Licensed Nurses, Midwives and Lady Health Visitors. Maternity shelter for women those who cannot afford to delivery at a private clinic. There are 30 to 50 delivery mothers monthly at maternity shelter of MNMA. The MNMA has been operating Community Home-Based Care (CHBC) since 2001 to help improving the continuum of prevention, treatment and care available to those who are in need. Women including Pregnant Mothers, delivery and postnatal mothers. To support and assist in order to raise the social, educational, nursing care standards and emergency requirements from time to time by the state. To improve the status in the career of the nurse, by obtaining the people’s recognition on the expertise of the nurses in nursing. To bring further involvement of nurses at grass-root levels in communities, in the establishment of health care. To work with International Non-Government Organizations and Local Non-Government Organization towards the care to those at home. CWAF has previously delivered several hundred thousand of these tablets. 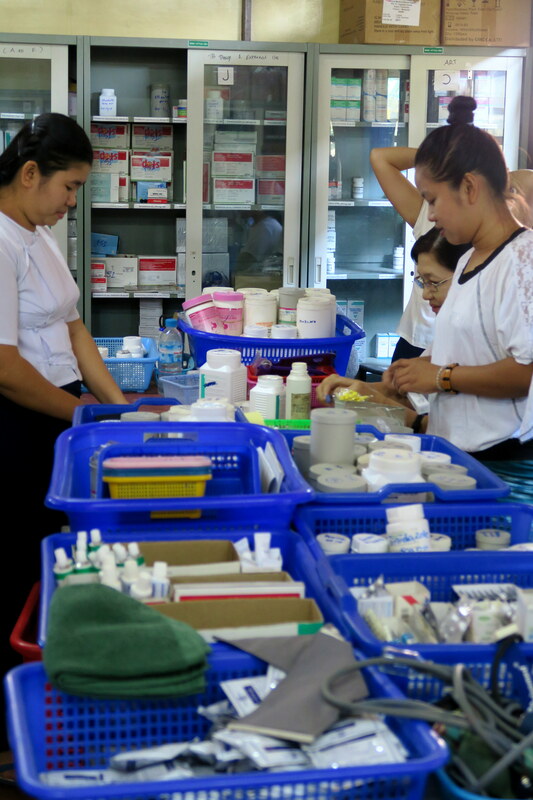 The need today is even greater with the Myanmar Midwives & Nurses Association training healthcare workers to provide home care treatment to patients living with HIV but not able to afford antiviral therapy, the need for the antibotic “cotrimoxazole” is critical to patient to function. A great project to support! It is CW Asia fund’s mandate to work with foundations, charities and organizations that illustrate a need and a responsible management system. We only work with partners that demonstrate a strong connection and a history with their immediate team of volunteers. Funding requests by solicitation are not accepted.